Pros: The pros are that it is easy to assemble, easy to use, made of high quality, and extremely fun to use. 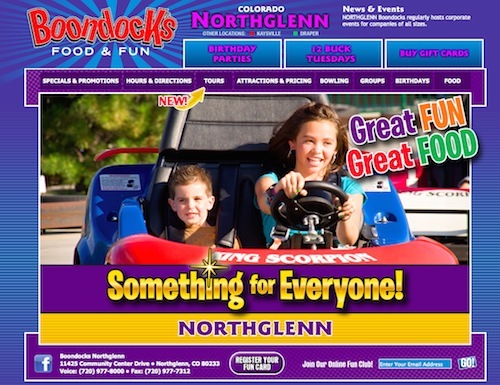 Cons: The main con and complaint for the Berg Jeep Junior Pedal Go Kart is that it is rather heavy, which makes it more difficult for children and some adults to pick up and move around if needed. Also the chain tends to fall off very often and some parts are coming loos, which is very annoying. 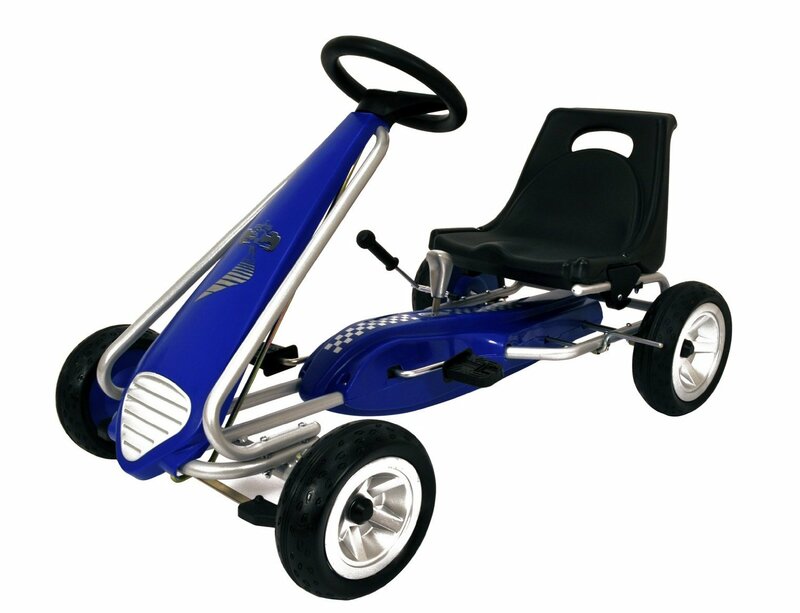 Go karts are becoming very popular these days, and parents may be wondering which one is the best for their children. 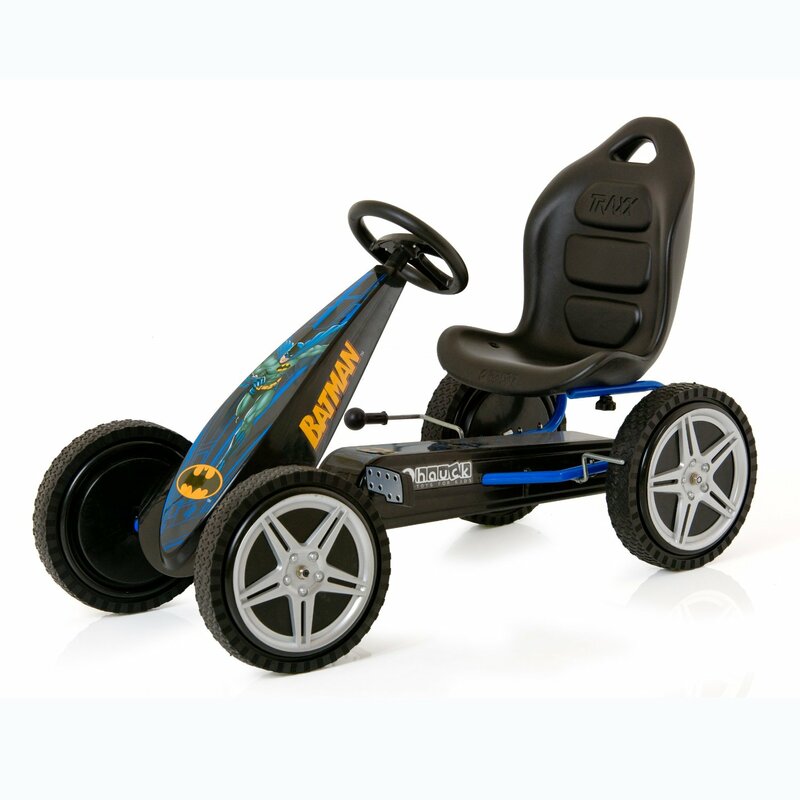 A very popular go kart is the BERG Toys Jeep Junior Pedal Go Kart. The manufacturer is a company in the Netherlands. The item model number is ERG1013, and the manufacturer part number is 24.21.34.00. The suggested manufacturer retail price is around $359.00. 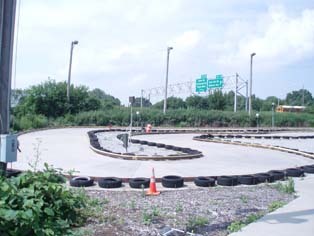 The kart type is the traditional pedal go kart. The overall weight of the go kart is around 40 pounds, but is sturdy enough to hold a maximum riders weight of 150 pounds. 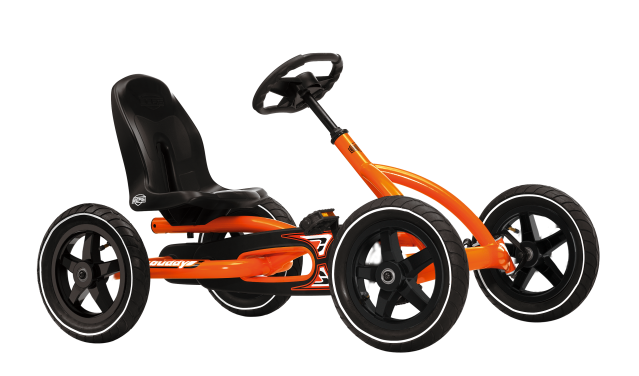 The dimensions of the Berg toys keep junior pedal go kart is 25” H x 26” W x 44” D. This wonderful go kart can be used over all sorts of terrain, from trails and dirt, to street riding. The Go Kart is easy to assemble. The warranty can be purchased for one year to two years of full coverage. This warranty is good for replacing your entire go kart if it happens to be damaged or fall apart for any reason. There are several great safety features such as the BFR Hub, sealed barrings, and seat belts, and traditional features such as mirrors, and pneumatic tires. There are several pros and cons of the Berg Toys Junior Jeep Pedal Go Kart. 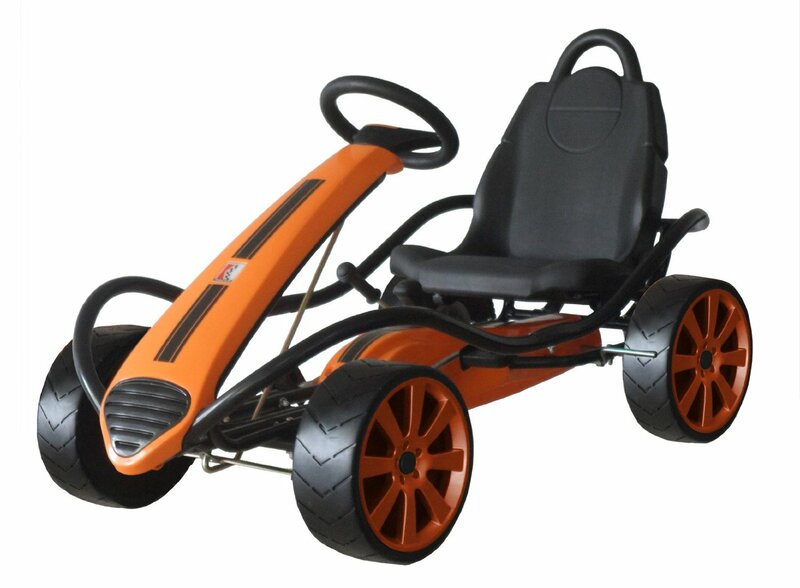 The Berg Toys Jeep Junior Pedal Go Kart made in China, is an all around good go kart for your child. 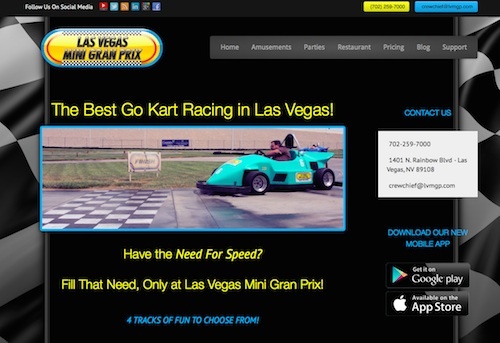 It is a great go kart for beginners, and fun enough for the advanced go kart riders. It is extremely safe, but have some drawbacks, like the chain which seems to fall off from time to time. 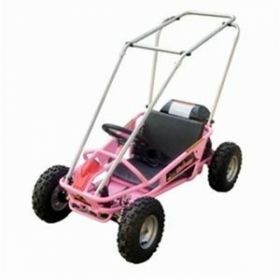 Backed up with an excellent warranty, there are no worries about having to purchase another go kart if something happens. The Berg Toys Jeep Junior Pedal Go Kart is on the higher side of pricing. With the excellent pneumatic tires, this helps makes it easy and fun to take the go kart on almost any terrain with ease. Whether you want to ride on the sidewalk with your friends, take in down the forest trail, or kick up some dust in the dirt, this go kart will get you there. With great safety futures such as the BFR hub, this enables you to pedal backwards and still apply the brakes in a safe, quick and effective way. 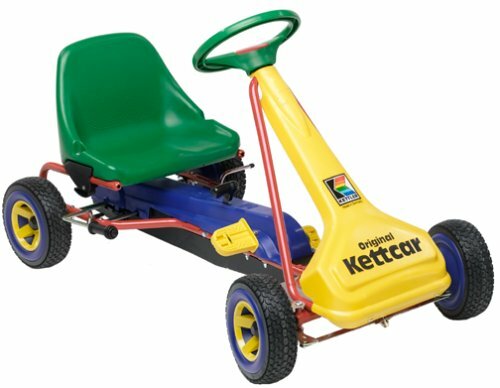 Although anyone as young as three is big enough to ride this go kart, it is recommended that no one under the age of eight use this go kart without adult supervision. The swing axle built on to the go kart, enables the frame to move over rougher surfaces with less bounce, and more control, giving you a smoother and more comfortable ride. The steering wheel is adjustable, making it easier for smaller children to enjoy without having to stretch their arms in an uncomfortable position. 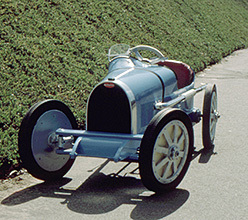 With a deep based seat, it is comfortable for longer rides, and has plenty of leg room for taller children. Each wheel has been given sealed barrings, which enables you to ride for years without having to worry about lubing the wheels and keeping them oiled. A powdered based coating on the tubular steel frame offers extra durability and strength to the frame to help with the rough surfaces you may ride on. 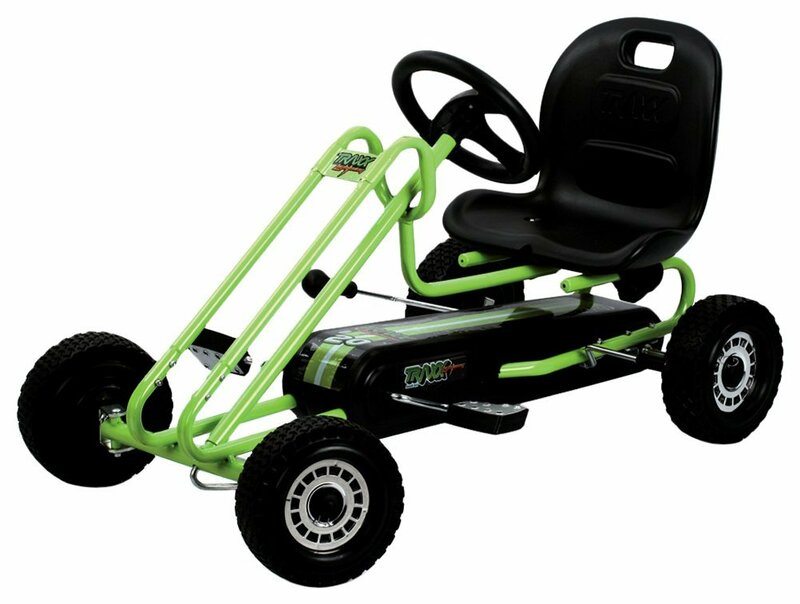 Over all, the Berg Toys Jeep Junior Pedal Go Kart is durable, strong, reliable, easy to store, and affordable for many families. It is guaranteed to provide your child with years of fun, and long lasting enjoyment for both the parents and children.